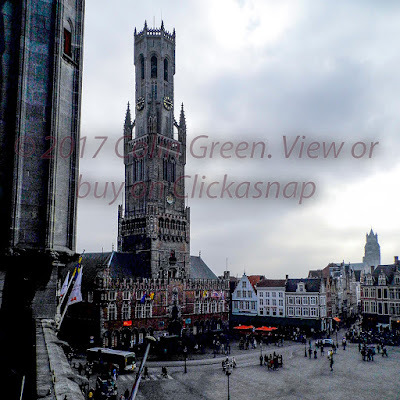 Colin Green Photography: Belfry of Bruges. The Belfry of Bruges is an historic bell tower overlooking the city of Bruges, Belgium. The tower has been host to the historic city archives, a former treasury, and ironically a fire observation post. This is ironic because the Belfry has been damaged by fire on no less that 3 times in 1280, 1493 and 1741. The top of the tower can be reached for a small fee and stands at 272 feet above the market square it overlooks. There is a narrow steep winding wooden staircase with 366 steps to the top of the tower which gives outstanding views over the city. 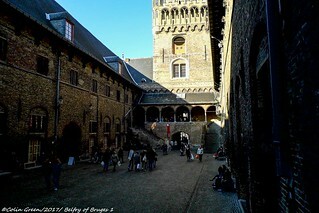 Beneath the tower to the rear is a courtyard and underneath is the former market hall. These pictures were taken on the 2nd November 2015 using a Polaroid iS2132 digital bridge camera. There are a total of 20 different pictures 15 of which can be viewed on Flickr (Belfry of Bruges) and 5 which can be viewed on Clickasnap. Use the arrows to navigate the album of 15 pictures or click to view on Flickr (Opens in another window). The following 5 pictures are Clickasnap exclusive. They are displayed here watermarked and reduced in quality. To see best resolution, non watermarked and full size please click the link under each photo to be taken to view. 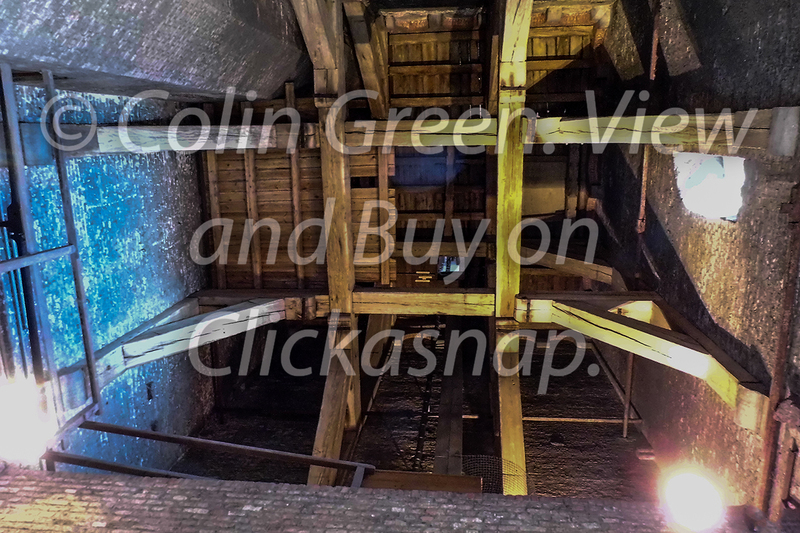 Just viewing for 10 seconds on Clickasnap supports my photography financially at no cost to yourself. All links open in another window. Click here to view "The Belfry of Bruges" on Clickasnap. Click here to view "Up Inside the Bell Tower" on Clickasnap. 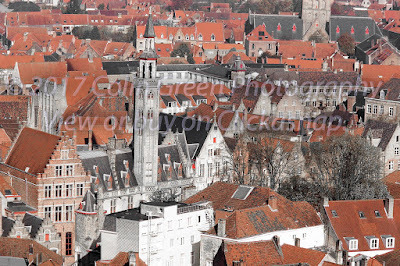 Click here to view "The Tower Above The Rooftops" on Clickasnap. 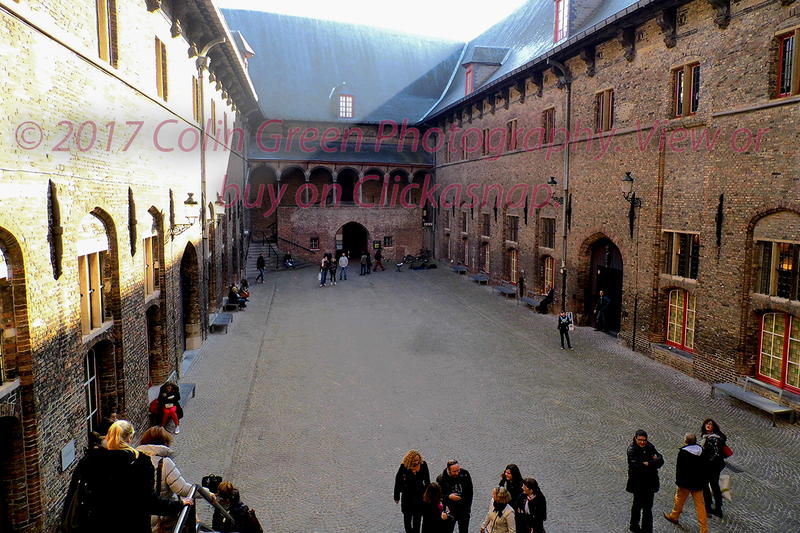 Click here to view "Courtyard and Cobbles" on Clickasnap. 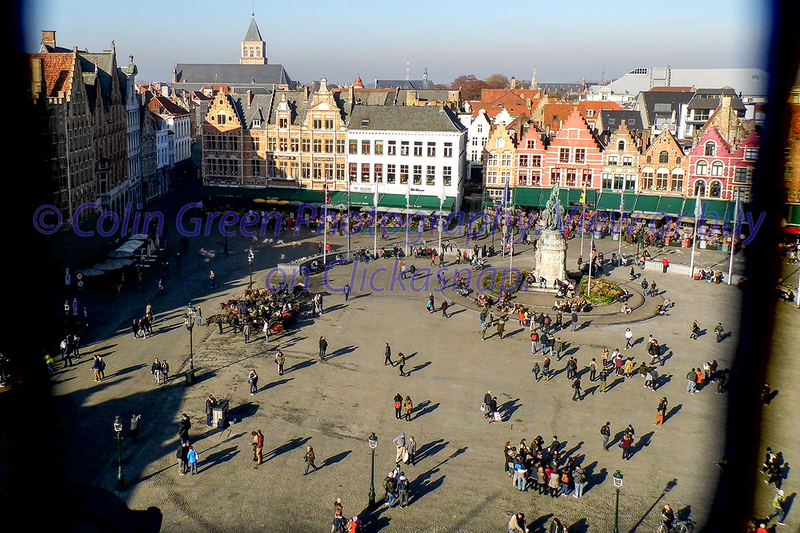 Click here to view "The Market Square" on Clickasnap. All links open in another window and views of over 10 seconds result in me receiving a small contributors fee from Clickasnap. Pictures can also be purchased there in a variety of formats.